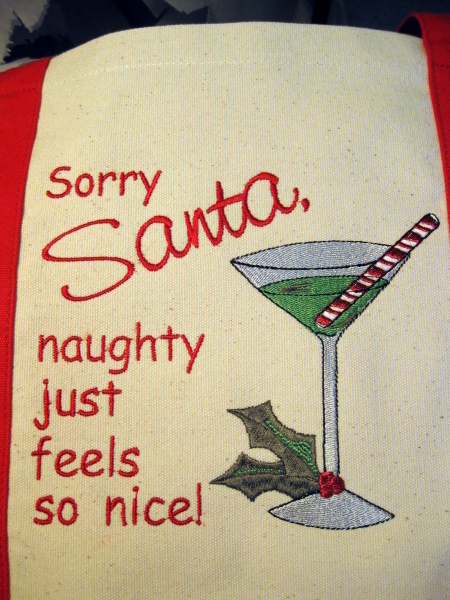 Sorry Santa w/ Martini Glass - 3 Sizes! - $4.99 : Fancy Fonts Embroidery, Home of the ORIGINAL Trendy Dots Font! Ellen M. of City Stitchers shared how she used our design on totebags! What a perfect Christmas gift!